Cronin Wall Properties are truly honoured to present “Bruach Abhainn” to the sales market. Detached 4/5-bedroom property oozing luxury and style in every way set in a small development of just 22 houses. Providing a spacious, modern and bright interior with a large garden in a picturesque setting. 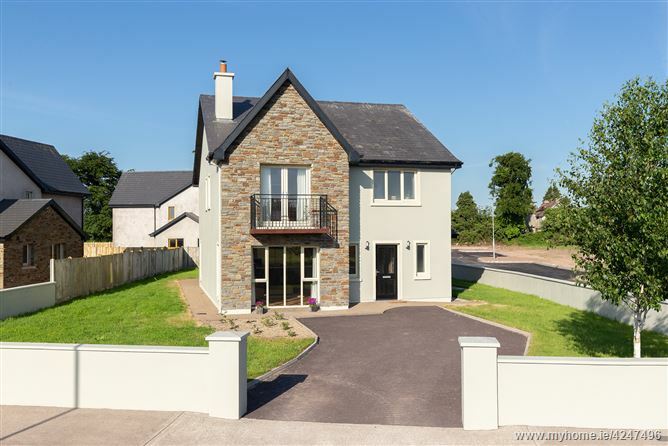 Located in Mogeely with local available amenities such as Shop, National School, Play Ground, Church, Pub whilst Midleton town is just a 5-minute drive away. A truly spectacular property with the utmost attention given to every detail both internally and externally. “Bruach Abhainn” a desirable and spacious property in an attractive location. Accommodation consists of: Entrance Hallway, Guest W.C., Living Room, Kitchen/Dining Area, Sun Room, Utility, 4 Bedrooms (master en-suite & Bedroom 2 en-suite) & Bathroom. Entrance Hallway, Guest W.C., Living Room, Kitchen/Dining Area, Sun Room, Utility, 4 Bedrooms (master en-suite & Bedroom 2 en-suite) & Bathroom.